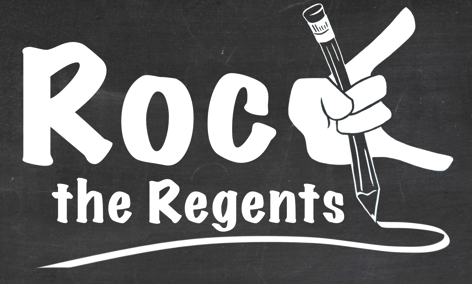 In New York State, Regents Examinations are statewide standardized examinations in core high school subjects required for a Regents Diploma. All students are required to take the Regents Examinations in order to graduate high school. To graduate, students are required to have earned appropriate credits in a number of specific subjects by passing year-long courses, after which they must pass Regents examinations in some of the subject areas. For higher achieving students, a Regents with Advanced designation and an Honor designation are also offered. 5) Any one science exam (usually Earth Science or Living Environment/Biology). 1) A student who earns an average score of 90 or higher (without rounding) on required exams is eligible for a Regents Diploma with Honors or a Regents Diploma with Advanced Designation with Honors. 2) A student who earns scores of 85 or higher on all of the required mathematics Regents Examinations is eligible for an annotation on their diploma that states that the student has mastery in mathematics. 3) A student who earns scores of 85 or higher on at least three science Regents Examinations is eligible for an annotation on their diploma that states that the student has mastery in science.